Who am I? What is my essential nature? What do I find most meaningful and inspiring? What are my unique gifts and talents? What type of career is best suited for me? While everyone explores these types of questions at one point or another, for identity-seekers, they are matters of ultimate and persistent concern. Indeed, little is more intriguing to the identity-seeker than examining the nature of her own self. 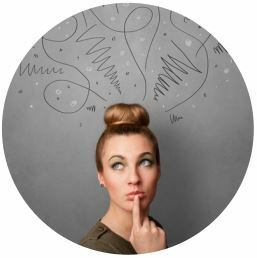 In the words of the renown identity-seeker and existentialist, Soren Kierkegaard, “Essential knowing…means that the knowledge relates to the knower.” The outside world is of minor importance to the identity-seeker, valued only as a sort of fingerprint dust or sounding board for the self. External data perceived as unimportant or irrelevant to the self is effectively ignored by the identity-seeker. She appropriates only what resonates and coheres with who she is. When something strikes her as particularly interesting or meaningful, she celebrates, commemorating it as a moment of self-insight. Identity-seekers are sometimes described as individualists or subjectivists. In his classic work on Enneagram typology, Personality Type, Don Riso applies the Individualist label to the Enneagram Four, a type characterized by perpetual identity-seeking. 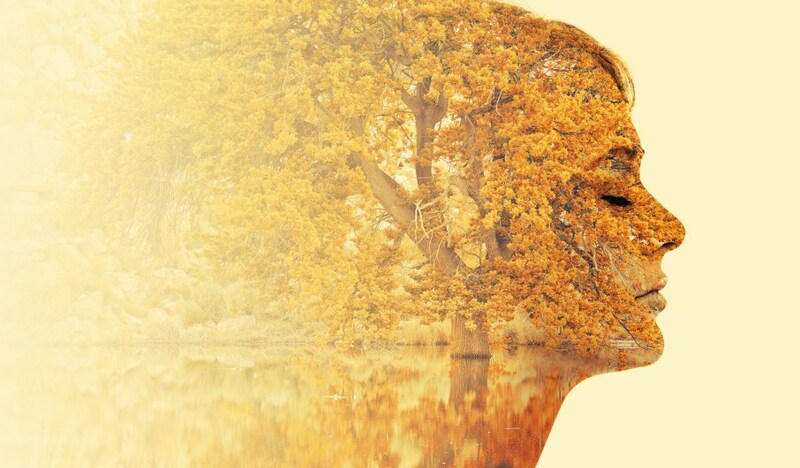 In Psychological Types, Jung associates self-reflectiveness with subjectivity and introversion. In his view, the introvert is characteristically attuned to his or her subjective processes and inner landscape. While I agree with Jung about the relationship between introversion and subjectivity, the S-N and J-P preferences also make important contributions in this respect. 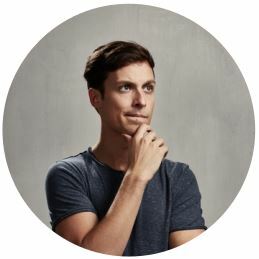 Namely, intuitive (N) types tend to be more self-reflective and introspective than sensing (S) types, and perceiving (P) types tend to be more subjective and self-oriented than their J counterparts. It therefore comes as no surprise that many (although certainly not all) INTPs and INFPs are well-viewed as identity-seekers. 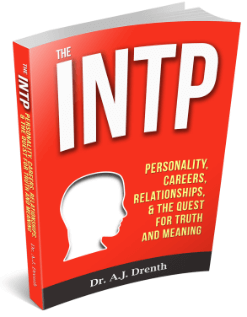 INPs’ propensity for identity-seeking is largely explainable in terms of their dominant functions: Introverted Thinking (Ti) for the INTP and Introverted Feeling (Fi) for the INFP. These functions employ subjective criteria to discern and pursue what is interesting, valuable, or useful, while filtering out whatever is deemed meaningless or irrelevant. This inner judging process, which separates the psychological wheat from the chaff, allows INPs to delegate more of their cognitive resources to matters of greatest subjective import. 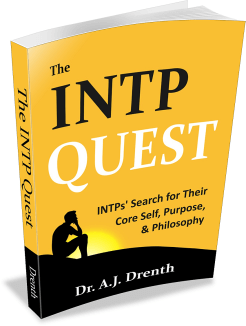 INTP and INFP identity-seekers’ foremost concern is clarifying the nature of their essential self. Nothing fascinates them more than trying to get to the root of who they are. They are constantly interpreting and relating their experiences to their current self-understanding. While largely indifferent to externalities in their own right, INPs are curious to what the world can reveal about who they are as individuals. They enjoy considering, for instance, why some things strike them as deeply meaningful, while others seem of no interest whatsoever. They are always “checking in with themselves,” surveying the subjective responses that emerge from their stream of experience. Riso discerned a close kinship between identity-seeking and creative self-expression, seeing creative work as an important route to self-knowledge: “In the creative moment, Fours…not only produce something beautiful, but discover who they are.” In other words, identity-seekers can find themselves, at least in an experiential sense, through the creative process. Writer Joan Didion echoes this sentiment: “I write entirely to find out what I’m thinking, what I’m looking at, what I see, and what it means.” Riso goes on to suggest that “the tension between self-awareness and self-transcendence can be resolved in creativity.” In many respects, this undercuts the common assumption that self-knowledge must precede self-expression. This realization, which Riso describes as “paradoxical,” may even prompt INPs to reconsider their ultimate objective. Namely, if their most pressing concerns are somehow resolved in creativity, then maybe their true calling is not to clarify their self-understanding, but simply to create; perhaps the siren call of the self is merely meant to function as a gateway to a broader creative life? As theoretically tempting as this might seem, the fact is that most INPs struggle with “creativity for its own sake.” They need to feel inspired or otherwise confident that something valuable will be discovered or birthed through the creative act. And this is why dispensing with their most powerful source of motivation—the search for self—rarely seems a plausible option for them. At the same time, INPs expecting their identity-seeking to have a clear endpoint can feel frustrated when the Holy Grail of consummate self-knowledge continues to elude them. Like a dog trying to catch its own tail, they may feel they are doing a lot of running, but have little to show for it. They may envy the accomplishments and achievements of their peers, while loathing their own wheel-spinning. INTPs and INFPs may also find it hard to explain their identity-seeking activities to others. They may also worry about being viewed as lazy or self-absorbed. While INPs who do manage to produce something tangible—a book, an album, etc.—may experience less in the way of external or self-criticism, even the most productive INPs may feel dissatisfied and inauthentic. For without complete self-knowledge, they can never be sure that their work accurately reflects who they are. This can engender doubt about the quality and authenticity of their work. It can even cause them to doubt their vocational choice and wonder whether they should be doing something entirely different. In sum, identity-seekers strongly believe in the reality and importance of their essential self, and that it is of utmost importance to discern its true nature. They see self-knowledge as the critical prerequisite for everything else in their lives. Without it, they can’t know whether they are living authentically or optimally. So when self-certainty continues to prove slippery and elusive, they start to worry that life will pass them by before they find and actualize themselves. Guilt may also set in as they reflect on their relative unproductiveness. That which they do accomplish may feel fraudulent or tenuous if it was birthed out a state of practical necessity or incomplete self-knowledge. Thus, it can seem like no matter what they do, INPs are sentenced to a life of dissatisfaction. On closer reflection, one can detect an underlying element of perfectionism in the identity-seeker’s outlook, namely, the expectation that their self-knowledge, as well as the external expression of that knowledge, must be perfect in order for them to be happy. The unrealistic nature of this outlook suggests that they must either alter their mindset and expectations or accept their restlessness and dissatisfaction as part of who they are. One feels a constant urge to have something finished, but this urge is of evil and must be renounced. The continual becoming is the uncertainty of earthly life, in which everything is uncertain. This should not be viewed as a rejection of the subjective or self-referential mindset that Kierkegaard famously championed, but only as a critique of the desire for perfection or finality. An individual can still engage in self-exploration, but must recognize that “someone existing is constantly coming to be.” Thus, in Kierkegaard’s view, expecting to find oneself “once and for all” is both illusory and foolish. Interpreted typologically, Kierkegaard’s prescription can be seen as a revolt against his dominant introverted judging function, against his “constant urge to have something finished.” In so doing, he is effectively clearing the psychological space for his auxiliary perceiving function, Extraverted Intuition (Ne), to play a more prominent role. 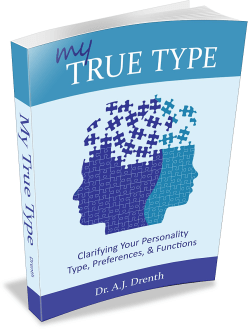 As discussed in my book, The 16 Personality Types, the auxiliary function plays a critical role in type development and integration. But for this to happen, the dominant function must first cede some of its power. Unfortunately, our attempts to do so often result in over-compensation, so instead of being merely diminished, the dominant is effectively rejected or sacrificed. Such over-compensations abound in theoretical works, in which the propensities of the dominant function are effectively vilified. Thus, it is generally wise to avoid getting sucked into an author’s enthusiasm for one side of a dichotomy. In this case of Kierkegaard, it means resisting over-zealousness toward the notion of uncertainty (P) vis-à-vis permanence (J). In other words, what identity-seekers need is not one or the other, but the optimal proportion of each. With that said, Kierkegaard generally points identity-seekers in the right direction. Namely, his case for uncertainty prompts INPs to question their dream of perfect self-knowledge, thereby paving the way for alternative approaches. Typologically, Kierkegaard calls for a relaxing of J control (i.e., of the dominant function) and a willingness to submit oneself and one’s expectations to the unknown (i.e., open-ended perceiving). This shift in mindset can help INPs navigate some of their most pressing existential issues. Among other things, it can help them overcome their reluctance to act without perfect self-knowledge and, in turn, to experience the delight of finding (and creating) themselves through consistent creative immersion. 1. Kierkegaard, S. Concluding Unscientific Postscript. 2. Riso, D & Hudson, R. Personality Types: Using the Enneagram for Self-Discovery. 3. Jung, CG. Psychological Types. Fascinating discussion. I have been trying to determine if I am ENFP or INFP. I believe this discussion has clarified matters for me. Definitely a self-seeker. Therefore, INFP. Wow. Definitely rings true for me, an INFP 4w5. Without fail, I feel my most ‘me’ when I create, without evaluation and hesitation. ‘Flow’ /creative inspiration feels like a perfect balance of Fi/Ne. However, I struggle with doing this consistently, because I always return to my internal questioning: “Is this really right for me? Is this a true portrayal/representation of what matters to me, of who I am?” The endless seeking for the perfect, the ideal creates frequent paralysis when it comes to external manifestation. I often feel like a little kid (even though I’m in my forties) because I don’t have a body of work which others can look at and say, “That is who this person is.” I don’t want to share my creations with others unless they feel authentically me, so i have crates of art stuffed under my bed, piles of writing stacked in drawers. Protecting myself and my privacy is also something I value, but I also feel unfulfilled because I do withhold so much of myself. I’m working on changing this, but it’s not easy. Thanks again for your perceptiveness. It’s nice to know I’m not alone with this struggle. I wonder if the self-seeking for NP types as a whole is also heavily filtered through the Ne function. In my understanding, Ne is often divergent, asking “what if” and “but what about” questions and second-guessing the Ti/Fi conclusions as often as not, whereas the dominant Ni of the INxJs may give their users more certainty as to their own identity and purpose. It may well be that the INxJs truly know themselves (and even others) extremely well fairly soon in life, whereas Ne forces the quest for identity and purpose for its users to be a life-long search. If this is the case, it’s not that the Js don’t have an interest in these ideas. Quite the opposite. But NPs may feel that their questions in these areas are never quite answered, which prompts additional seeking.